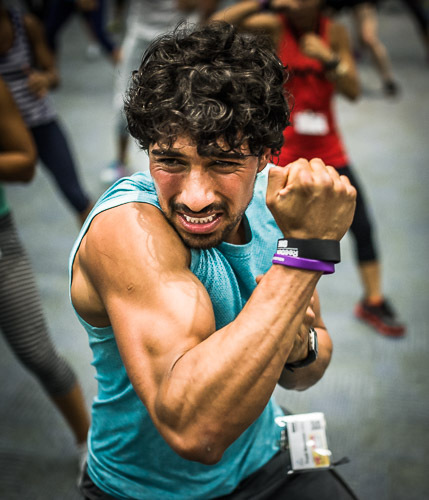 I had the pleasure to photograph the IDEA World Fitness Convention in Anaheim, CA this past August. This is the fourth World Fitness Convention that I have photographed for IDEA, and the eighth event overall. IDEA holds a smaller event in the Washington, DC area every year in February and I photograph that as well. The IDEA World Fitness Convention is the premier fitness conference that features a diverse educational programming from world-renowned presenters. There was over 330 sessions in personal training, sports conditioning, group training, nutrition, business, and marketing. Some of this year's guest speakers included world record-setting swimmer Diana Nyad, Jillian Michaels (formally on NBC's The Biggest Loser), Tara Stiles, the founder and owner of the Strala yoga program, and other regular presenters such as Todd Durkin, Tony Horton, and Chalene Johnson. You can view/buy photographs from the conference by going to the IDEA World 2014 album on my website. 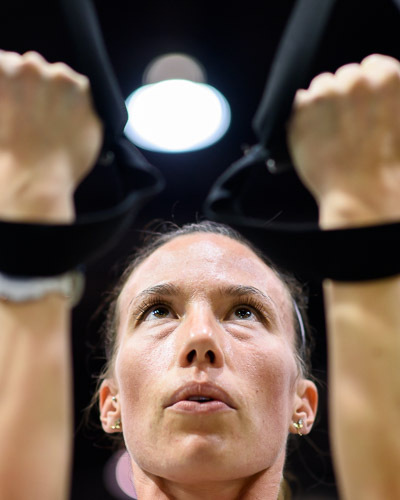 If you have been following my blog over the last few years you know I have been photographing the IDEA Health and Fitness Association's conferences in Washington, DC (Alexandria, VA) and in California (San Diego and LA) over the last four years. I always look forward to these because they are so dynamic and enjoyable to photograph. As you can see from the photographs, their is so much energy in these sessions, my job is to capture that energy via my photographs. The challenge is always the same, the lighting stinks, the athletes are moving fast, and I try not to get myself killed as I run, lay on the floor, and get right next to trainers who are jumping and swinging. But I wouldn't have it any other way ... this is much better than standing back with a long lens getting boring photographs. IDEA sets aside one of the conference rooms at the hotel for what we call the "photo booth." I bring a white backdrop and some studio lights and take photographs of some of the participants. I spend about one hour a day over the two days in this on-site studio. What is great it that the light is great and we have total control of what the athletes/trainers do. You can read more about the IDEA World Conference in Anaheim, CA this August by going to the IDEA website found here.